You will earn 4,332 Reward Points. Earn 1 reward point for every 1 dollar spent. 72" W, 34" H, 19.4 cu. 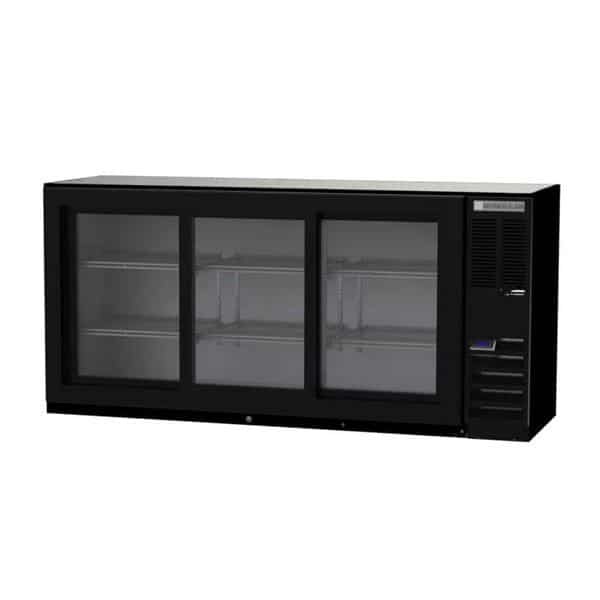 ft.
From mini umbrellas to martini glasses, there's room for all sorts of supplies in the Beverage Air BB72HC-1-F-GS-B Refrigerated Food Rated Back Bar Storage Cabinet. This backbar storage cabinet is 34 inches tall, 72 inches wide, and 25 inches deep.